I have admired many a Tarte eyeshadow palette. They come out with gorgeous, circular palettes. I don’t know why the circular palettes look so pretty, but they do! I always talk myself out of buying one. Usually, one or more of the colors would not get used. For example, there was a gorgeous palette this summer that had a pretty blue eye shadow. I loved the aesthetic of the palette, but that blue shadow would have remained untouched. Well, when I saw the Rainforest After Dark palette on Sephora’s website, I snatched it up. I love neutrals and purples. 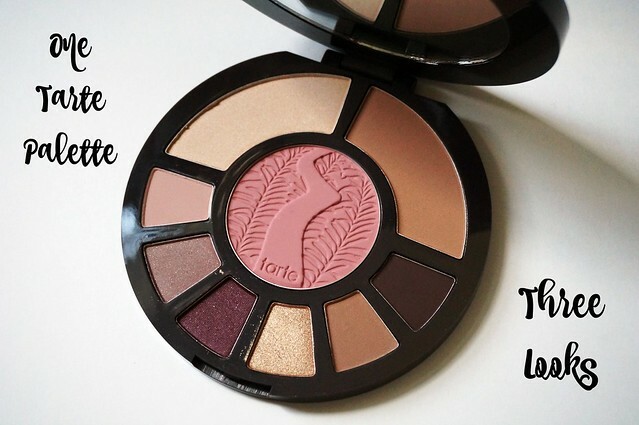 I love Tarte’s blushes, and the bronzer and highlighter are so pretty. This palette is going to get used a ton. 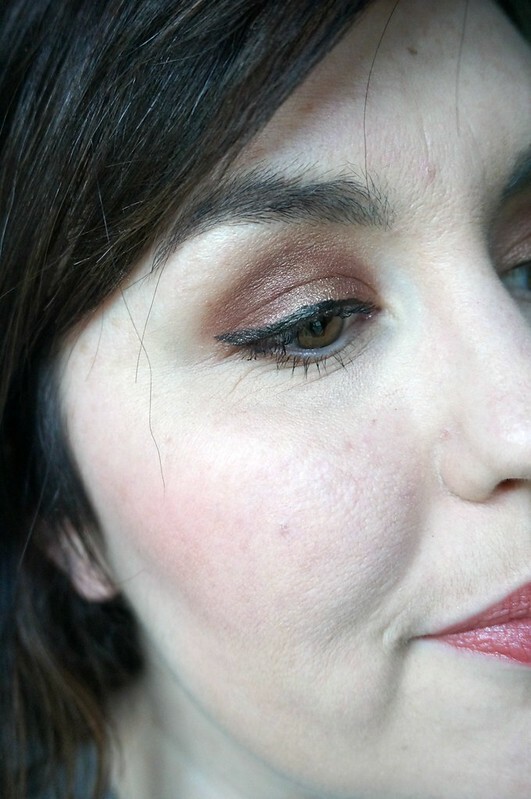 The eye shadows are divided into purples and browns. The blush is in the middle. 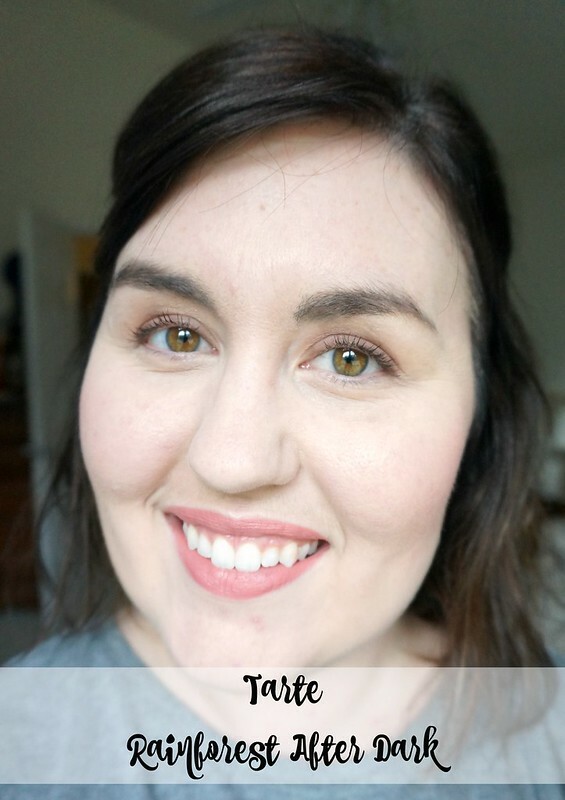 The highlighter and bronzer make up the rest of the palette. I’ve used the bronzer before, which is called Park Avenue Princess. The highligher is called champagne and doubles as a highlighting eye shadow. This first look is super simple (obviously). It’s something I can do really quickly on work days. I used the palest purple across my lid. 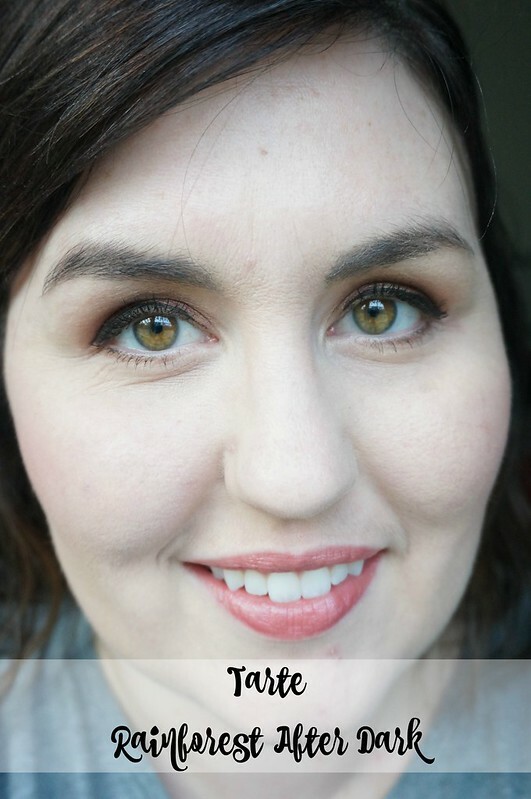 In my crease, I used the middle-toned purple. I used the highlighter to highlight my brow bone and the dark brown as eyeliner. The second look is a little more glam. 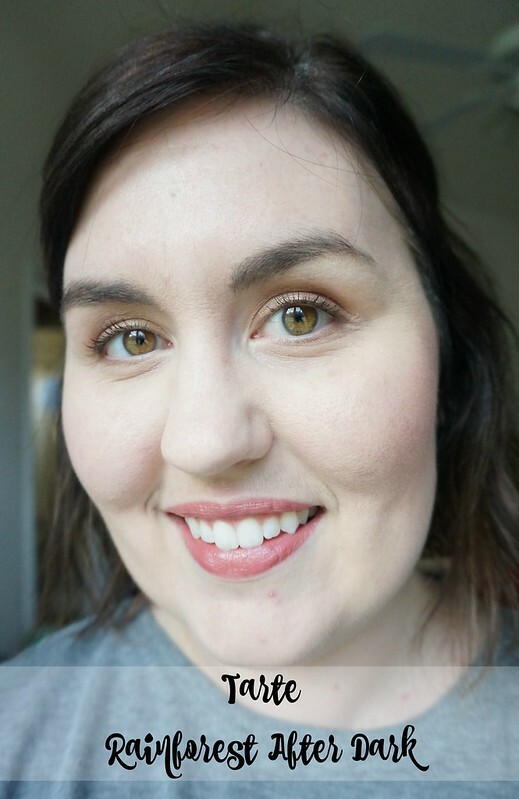 I took the gold shadow and sweeped across my lids and put the bronzer in my crease. I swept some of the bronzer across my lower lash line and smudged some of the gold shadow over it. I wanted to accentuate my lashes without overwhelming my lids, so I tight lined a black kohl eyeliner on my upper lash line. The final look is a bit more dramatic. I took the darkest purple all over my lid and into my crease. I added a little more of the bronzer to my crease and a little more highlighter to my brow bone. Then, I took the golden shadow and placed it on the middle of my upper lid to make them look bigger. On my lower lash line, I smudged the purple and gold together. What do you think of the Rainforest After Dark palette? Do you admire the Tarte palettes as much as I do?